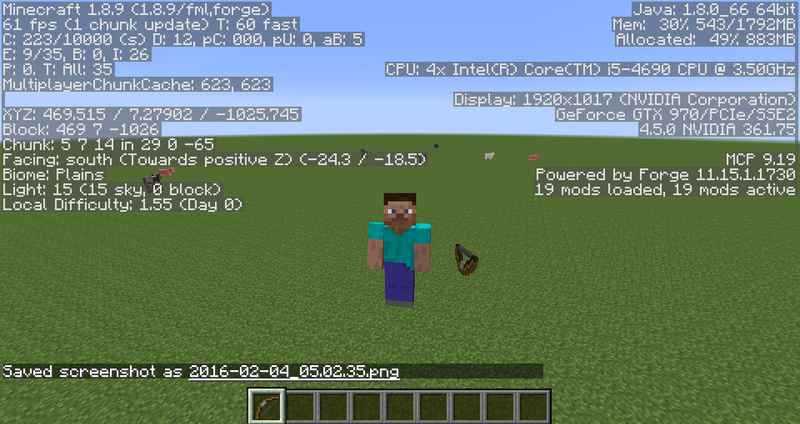 Commit 097c0c6 recently added the ability to use a single blockstates JSON for multiple item models, so I thought I'd try and convert my custom bow's models (identical to the vanilla bow's models) into a blockstates JSON. You can see the result here. 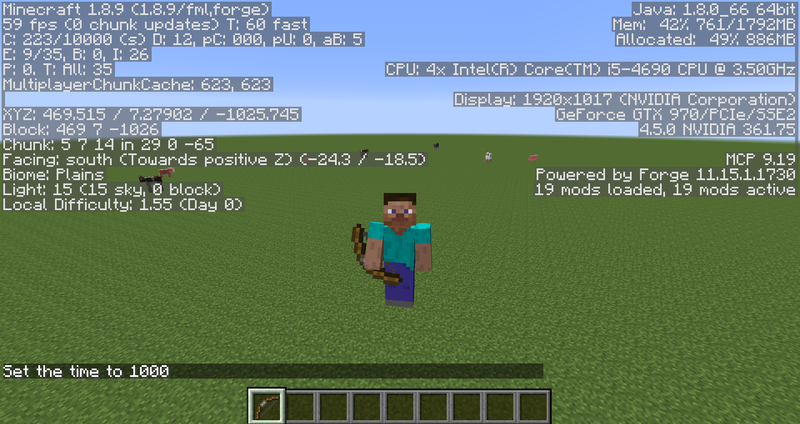 The model changes as the bow is used like before, but I'm having trouble getting it rotated and scaled properly with the transformation format used by the Forge blockstates format. I tried to convert the vanilla item model transformations to the Forge format using the following code, but it doesn't display like the vanilla model. This is what it looks like with no transformations. This is what it looks like with transformations. How do I properly convert the vanilla transformation format to the Forge format? Bump. Does anyone know how to do this? Bump again. Still having the same issue finding the right transformations. This is what it looks like in third person with no transformations. This is what it looks like in third person with transformations. I'm not 100% sure if this will apply to your scenario but I've got an ISmartItemModel that feeds from a blockstate file and I point it to a model file instead of a texture. It got rid of the wonky translations I had previously. So, without transformation, your bow got the right position bit it is not rotated, and when you apply the transformation your bow is rotated correctly but it is rendered in the wrong position? Maybe the transformation method doesn't work properly. Anyway i am probably not the right person to give you suggestions on this as i am a "rendering noob"
A bit of a necropost, but I got something that looks ok. YMMV on the Y translation, as my block isn't exactly normally sized.